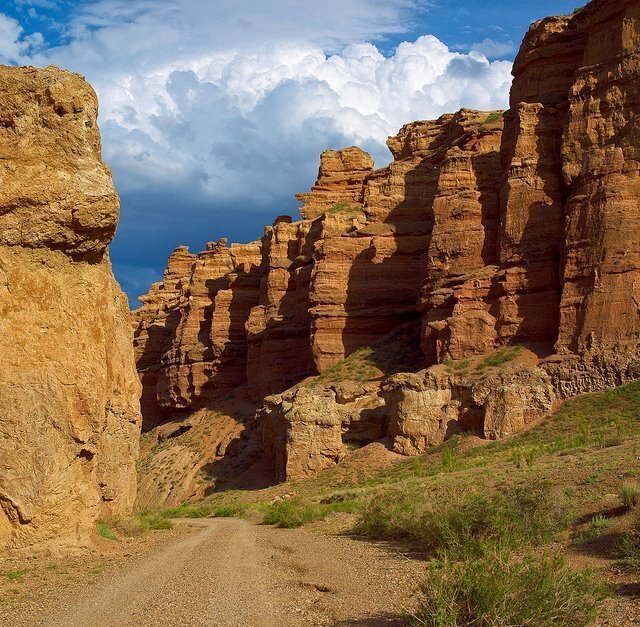 The drive to Charyn Canyon State National Nature Park, about 200 km (125 mi) from Almaty, provides an opportunity to see day-to day living in villages and the Kazakhstan countryside. 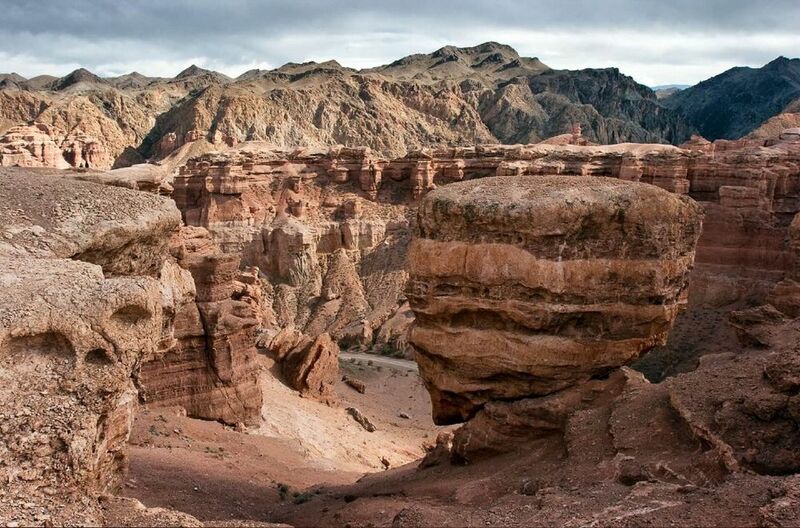 The Canyon has been formed by the Charyn River, the largest tributary of the Ili River. 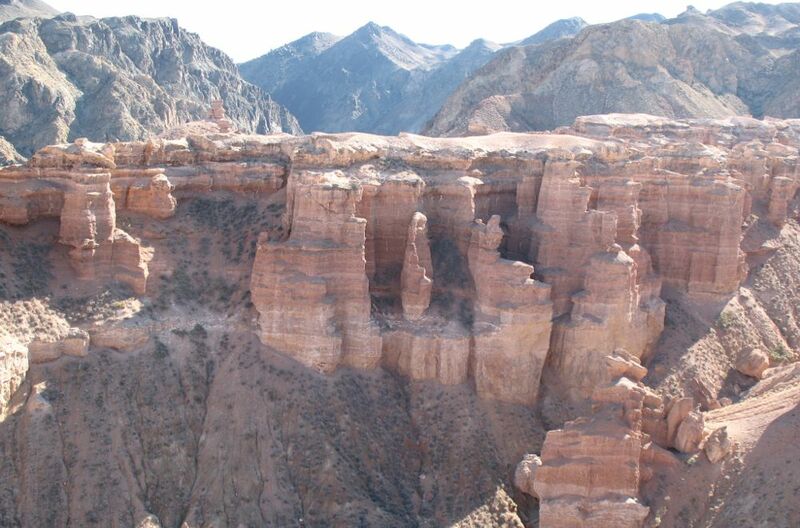 It is often called “The Little Colorado Canyon”, referring to the Grand Canyon in Arizona, U.S.A. 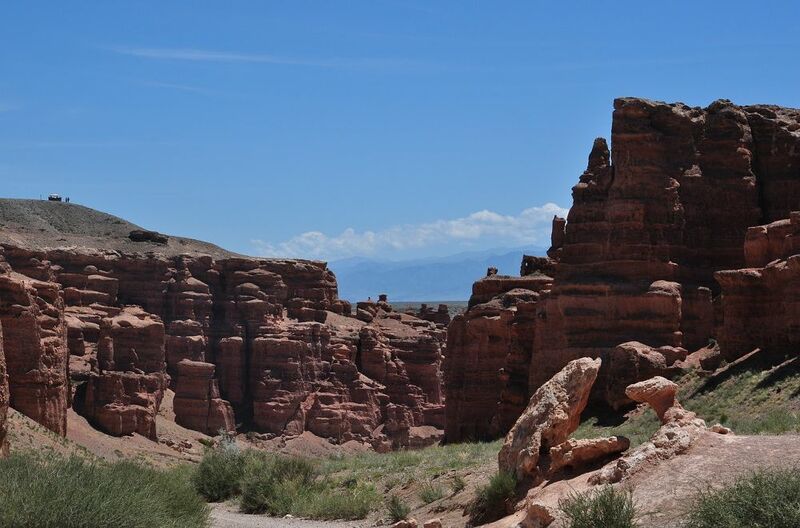 The beautiful sedimentary rock formations have been carved, over many millennia, into very interesting formations. 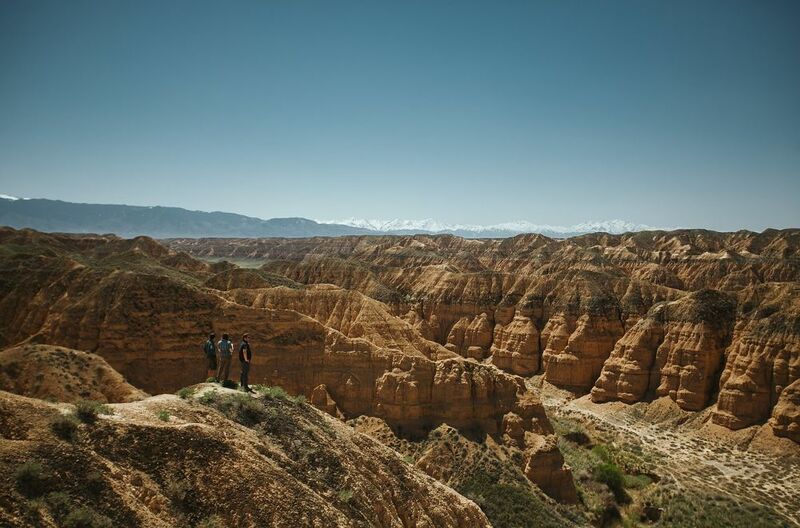 You will pass through the “Valley of Castles”, imagine Minarets and other fanciful shapes formed by the winds and water for centuries. 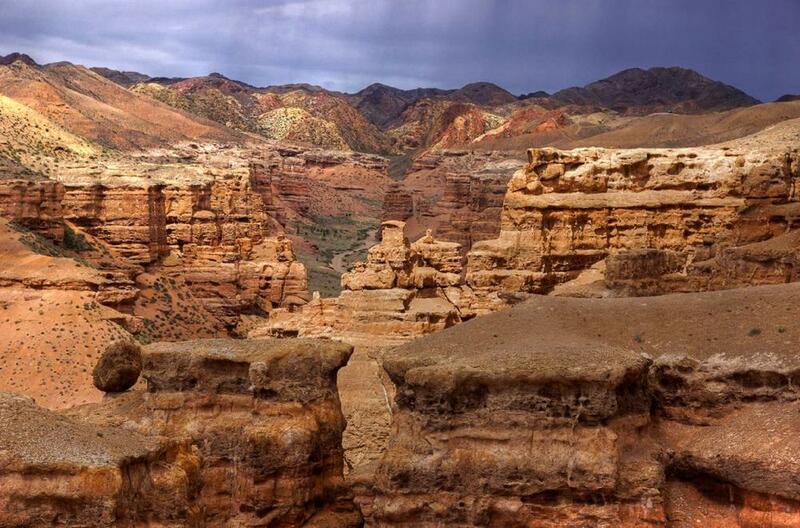 The length of canyon is 154 km (96 mi). 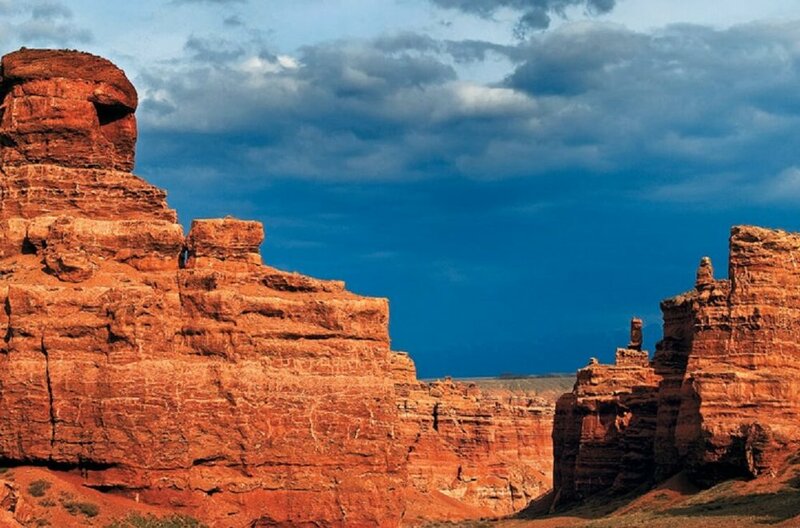 The depth of sandy cliffs is from 150 to 300 meters (492 to 984 ft). 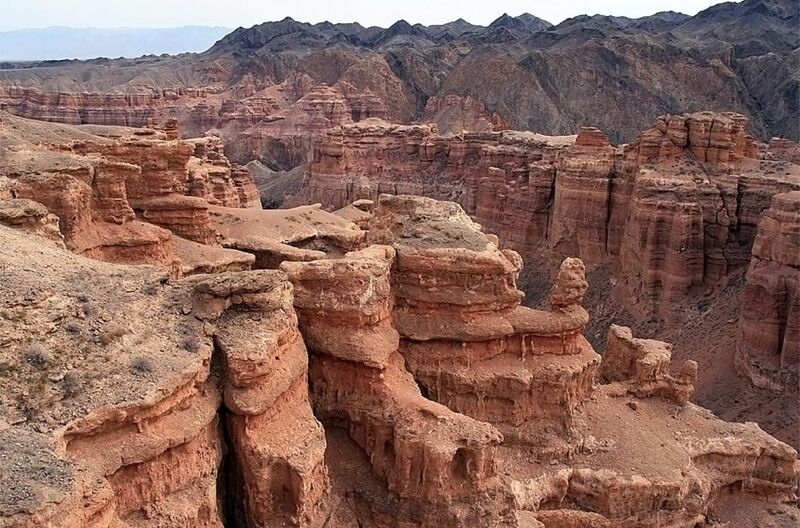 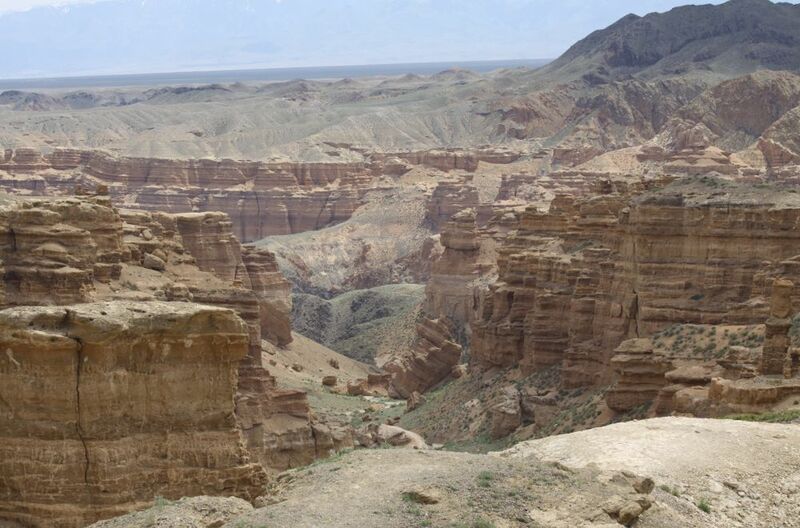 Desert wildlife is very elusive, but Charyn Canyon has become home for 62 species of mammals, 25 species of reptiles and 103 species of nesting birds. 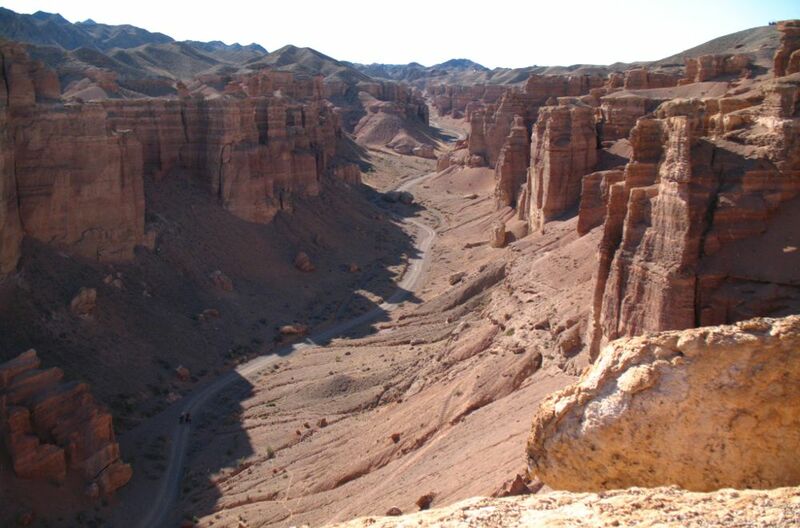 One thousand five hundred plants are growing in the park, including 17 species that are included in the Red Book of Kazakhstan.